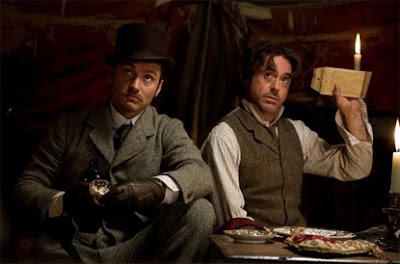 Entertainment Tonight have released a behind the scenes look of 'Sherlock Holmes 2,' which includes interviews with Robert Downey Jr. and Jude Law. The Guy Ritchie-directed sequel also stars Noomi Rapace, Jared Harris, Eddie Marsan, Stephen Fry and Gilles Lellouche. The film opens on December 16.